VISITS Technologies, an innovation tech company offering recruitment tool “VISITS OB” and online ideation tool “ideagram” has closed Series C with $5M funded from CAC CAPITAL Inc., Mirai creation fund, FFG venture business partners, Mizuho capital Inc., as well as other private investors. Total invested to date adds to $14M. ​”ideagram”, our new product launched in October 2017 is a patented technology that supports development of new business ideas with high success rate, by taking a user-centric design approach to identifying unmet needs and solutions, then using a consensus-building algorithm to automatically extract the best ideas based on user evaluation. This technology combined with blockchain, we believe we would be able to extract numerous social challenges – big or small, and share it across the world along with potential solutions. In this way, we should be able to create a worldwide ecosystem for problem-solving where everyone can partner to solve challenges. Our other main business “VISITS OB” utilizes AI to patternize user preferences and values to calculate how deep a users’ empathy towards one another’s career vision would be, and mathematically matches students to working professionals. Since launch, we have gotten over 2,000 businesses to install our service in their recruitment tactics, user count grew to 87,000, and have made over 1M matches. 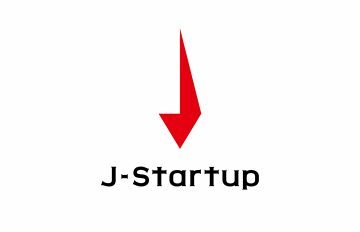 VISITS Technologies was elected as one of the leading 100 Japanese startups from the Ministry of Economy, Trade and Industry.